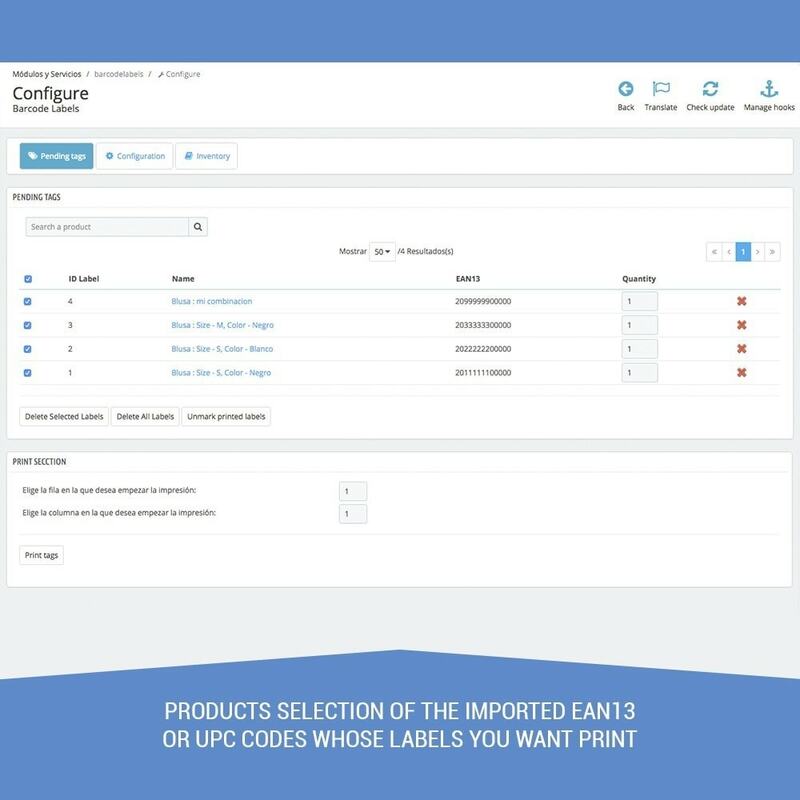 This product label module allows you to enter bar codes in EAN 13 and UPC in order to generate print labels with prices and validate orders. 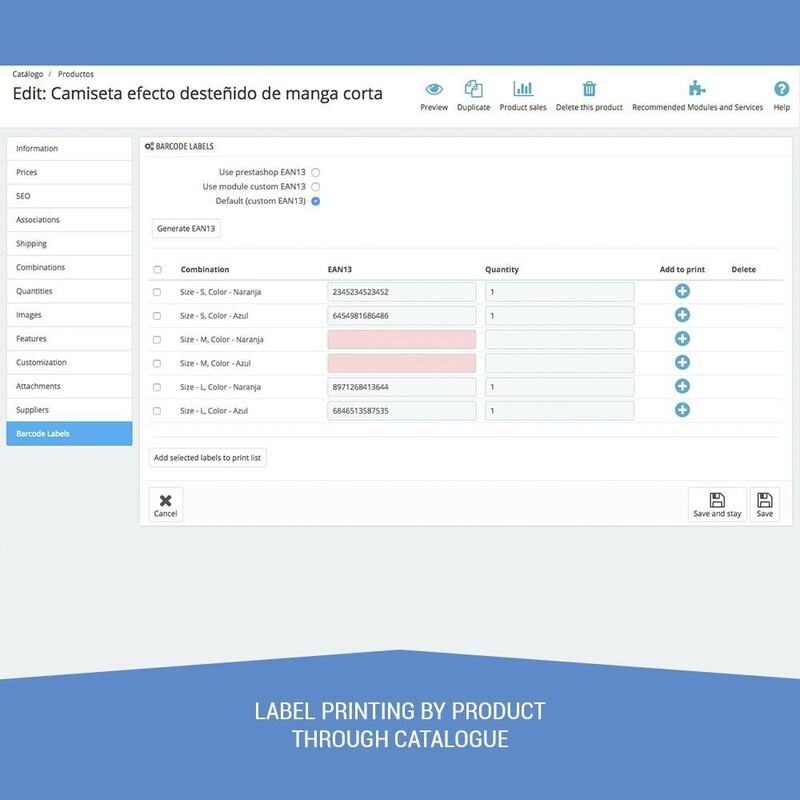 You will be able to manage all the products of your shop quickly and efficiently, importing massive bar codes with name, price, size, reference, barcode. Ideal for shops that have some point of sale. 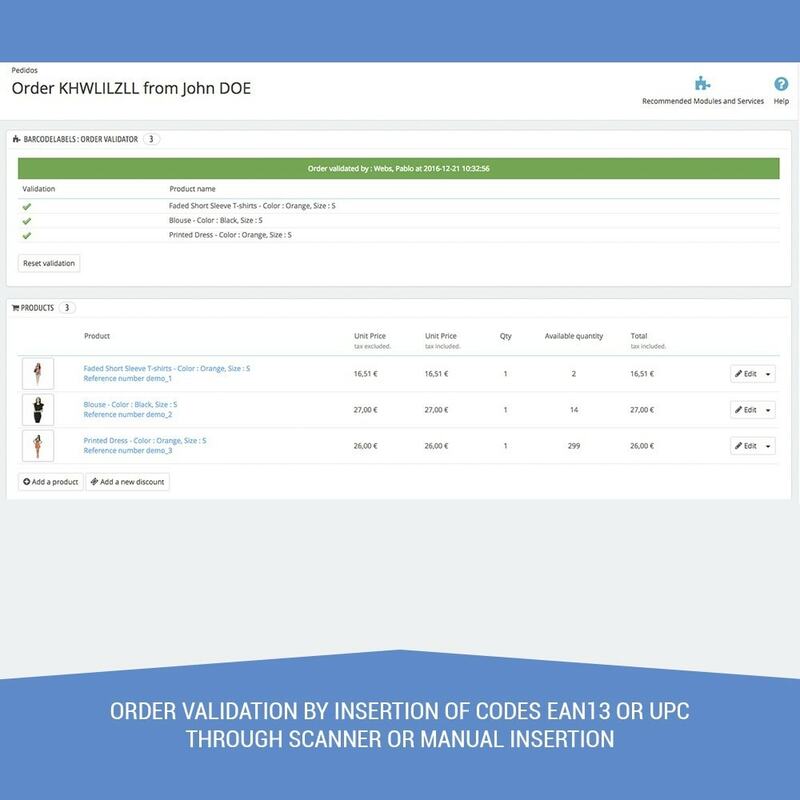 Minimize errors in the preparation of your orders thanks to the validation of ORDERS by barcode. 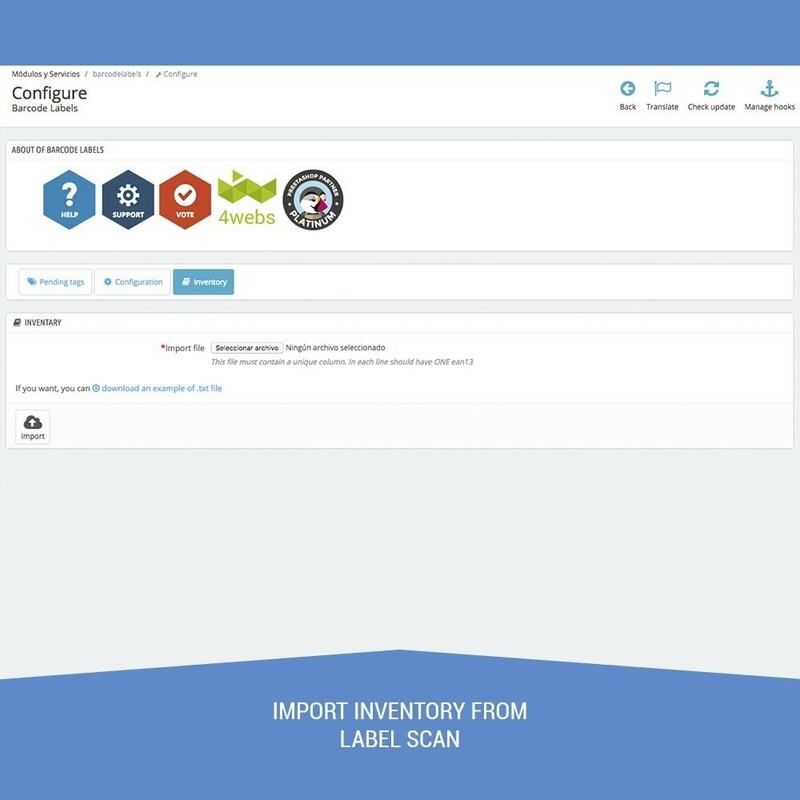 Manage your inventory and update it quickly and easily. It allows to generate product barcodes with and without combination. 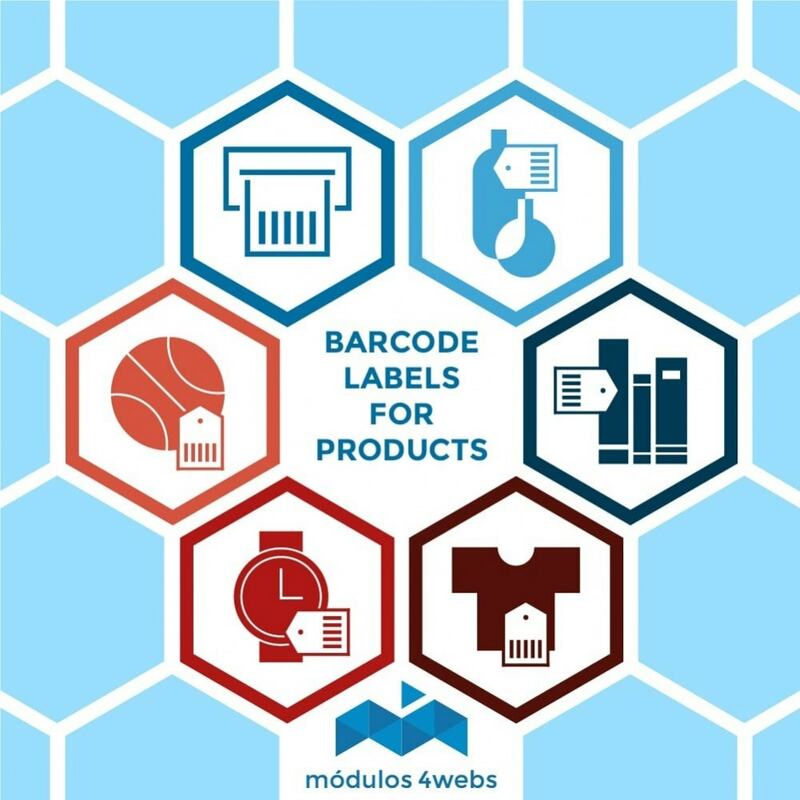 Bulk import of barcodes by products. 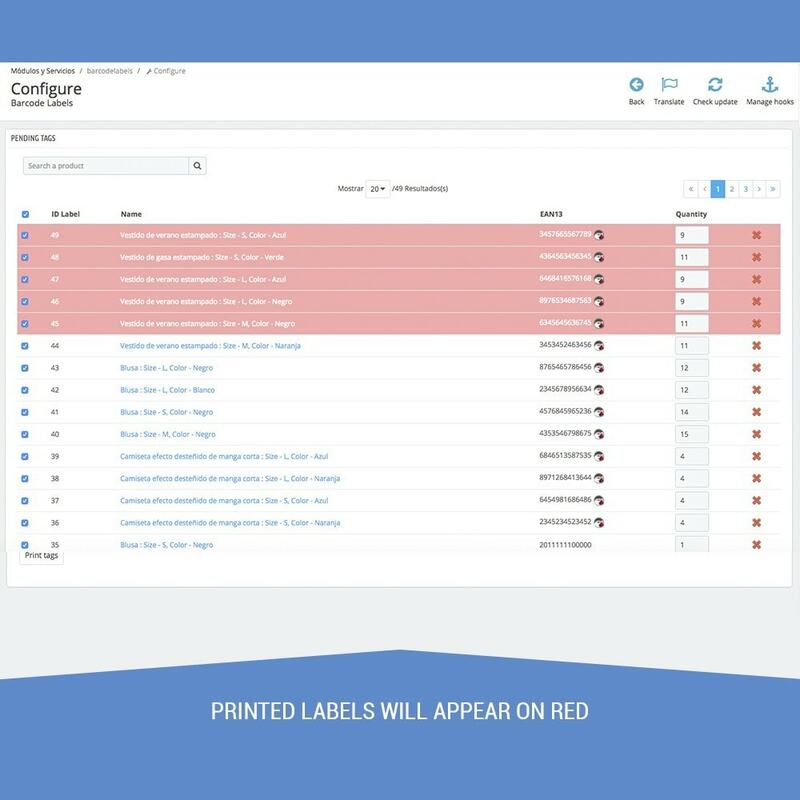 Immediate print or save label function for all subsequent printing. 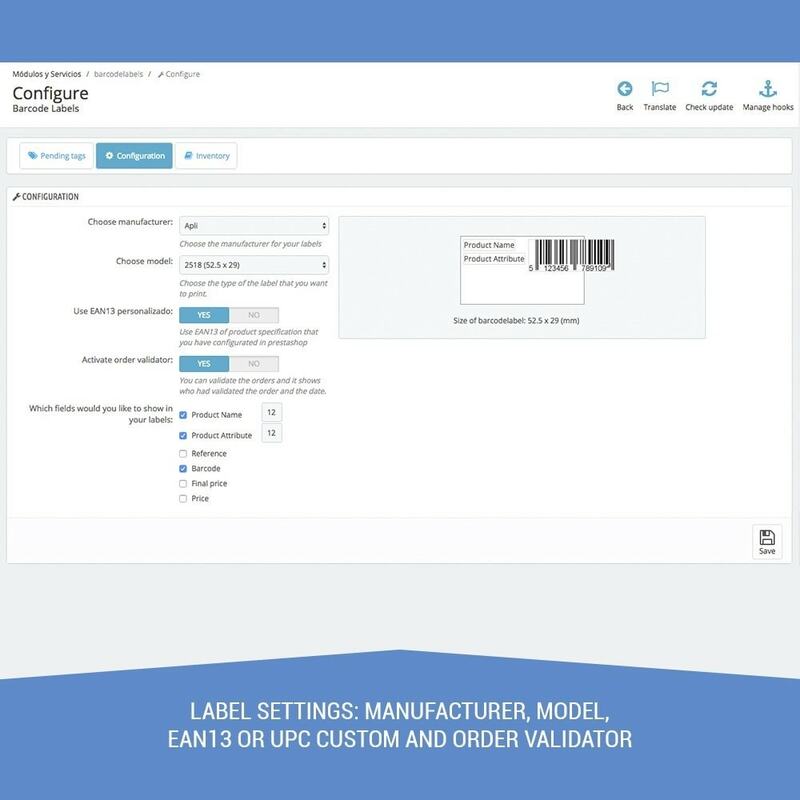 Label configurator based on the most used models, in addition it allows you to customize the measures. Back up of all barcodes. 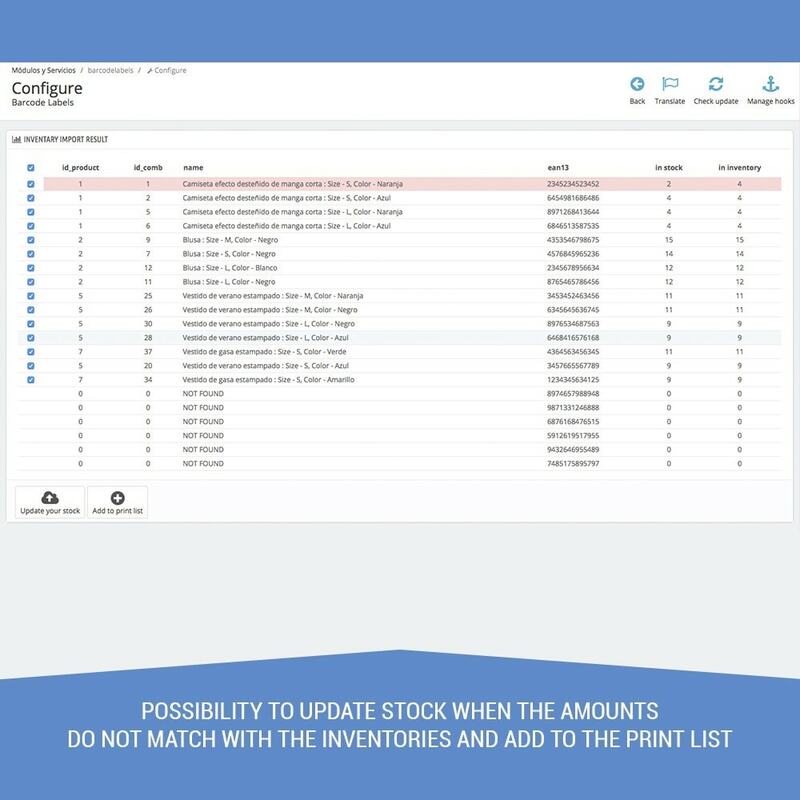 Massive inventory updater by barcode which allows you to make an inventory of the entire shop in order to update stocks in a massive way. 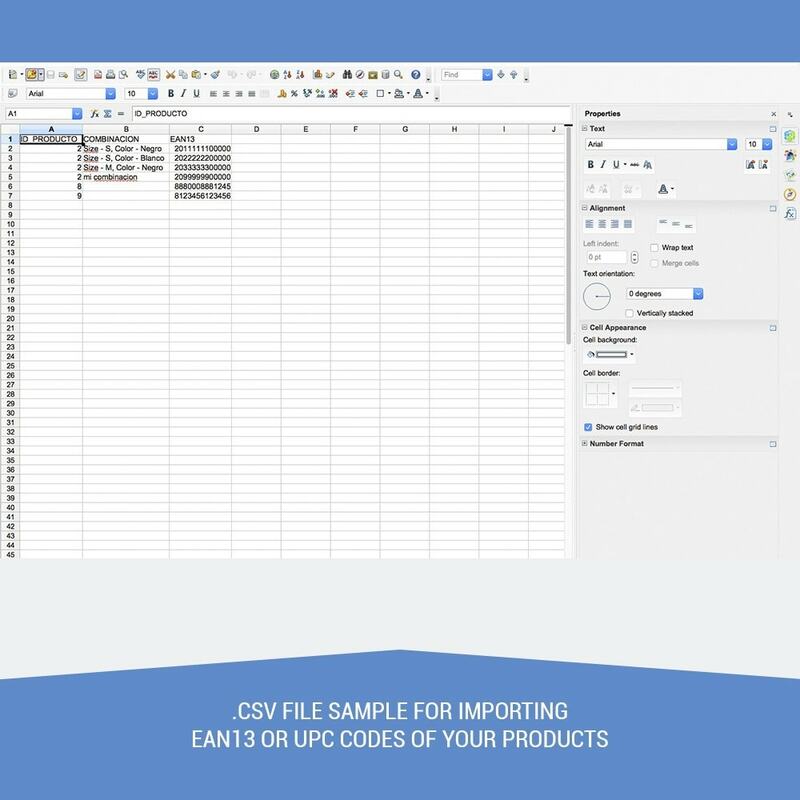 CSV sample files to understand how the module works. Compatible with the following currently used tags: 5 Star, Apli, Avery, Dymo, Europe, Faxland, Gradorient, Kores, Praxton, Tanex, Thermal Printer, Zebra... we can add any label if you indicate the measurements. 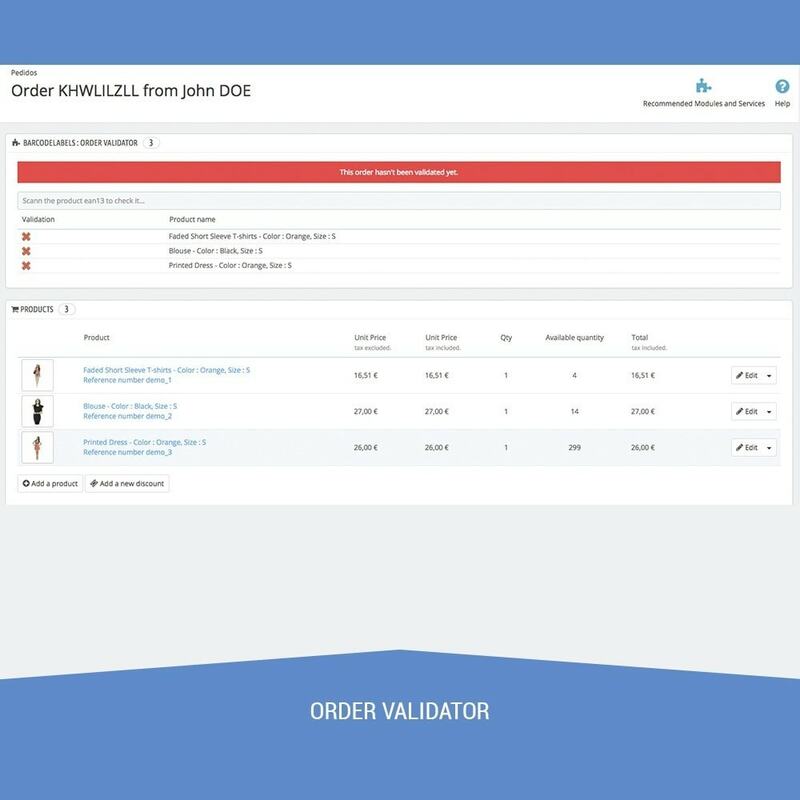 Barcode order validation function, if all your products use the module system, you will be able to validate each product of your orders by its barcode before shipping. 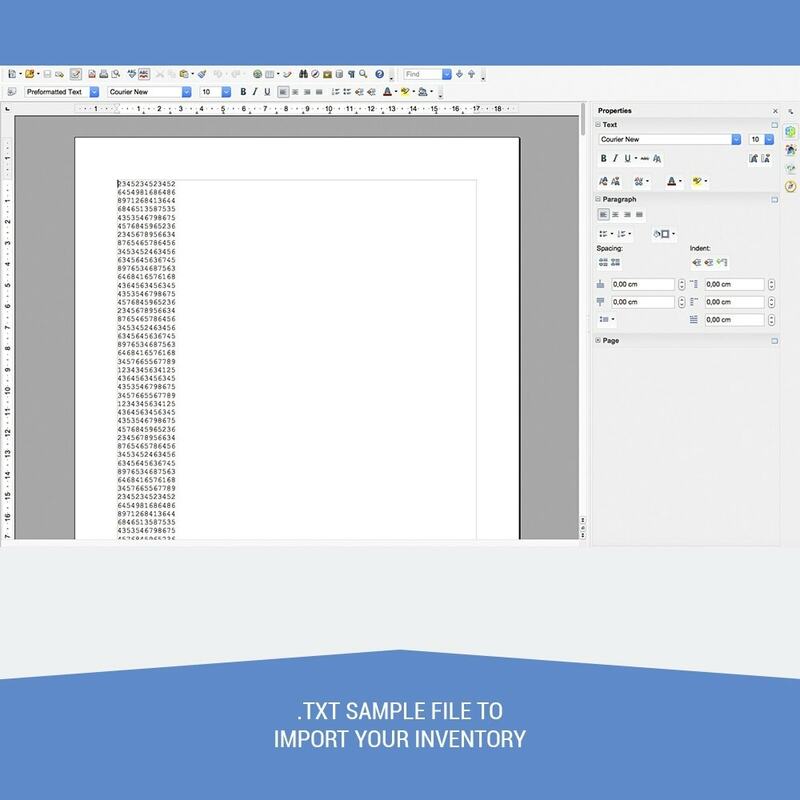 With this method you will avoid errors and shipping costs. 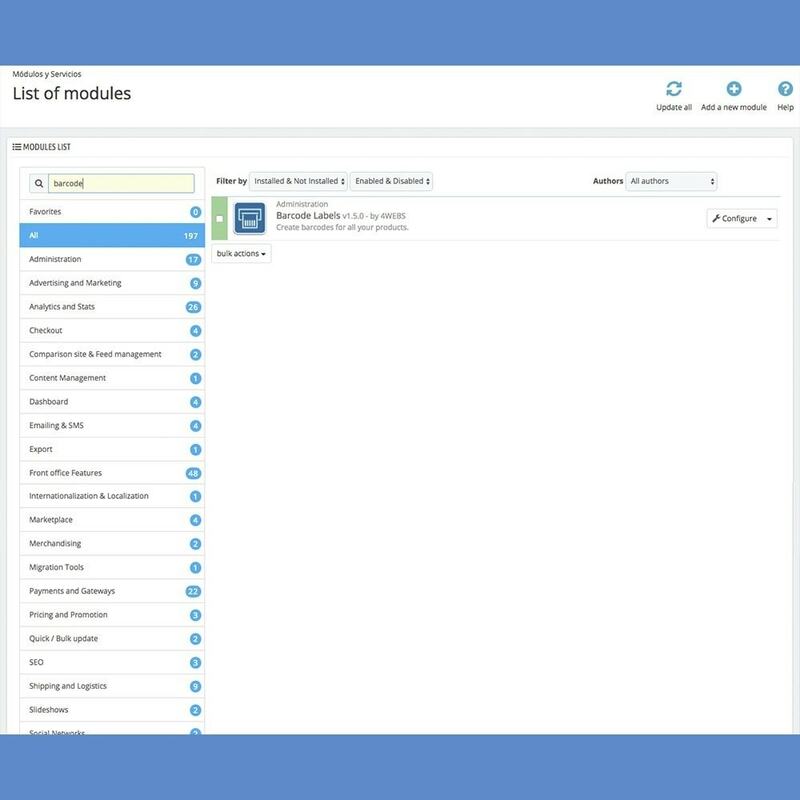 It allows you to add gifts to the orders as individual products to pass the validation. You can use the Prestashop barcode or use our custom fields, the advantage of using our custom EAN field is that we DO NOT modify the URLs of the products. Pas mal, quelques petits bugs et incohérences dans le code mais la base est bonne. 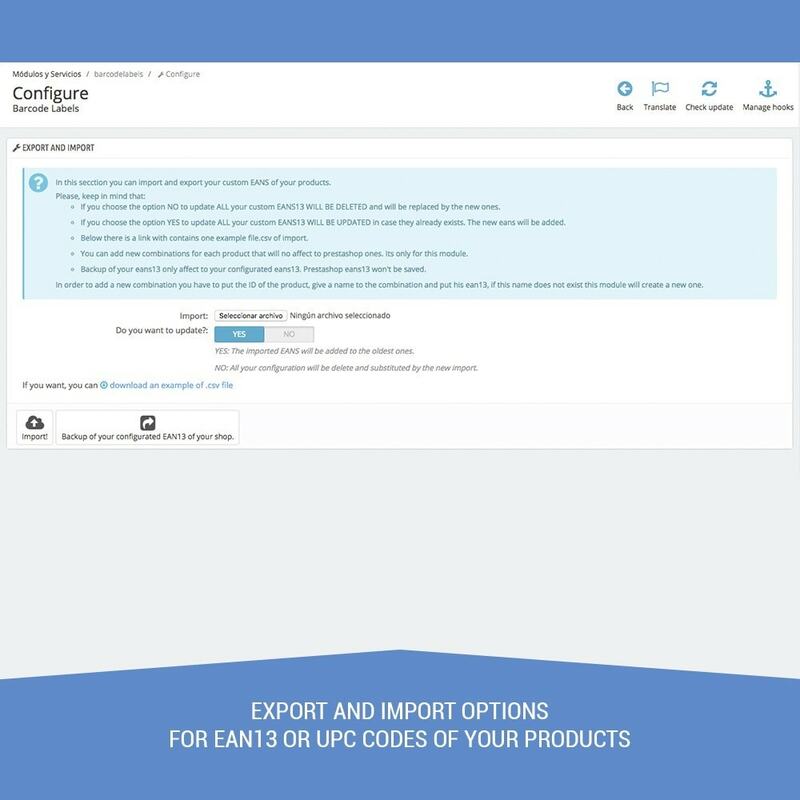 You need to upload the module, install and configure the products with their barcode.